A much delayed run through the best music that wafted into my ears in March. This rushed post is no way to mark 10 years running this blog but a house move and #insert other excuses# mean things are even later than usual. Hopefully the standard of music never drops even if the writing does! Subscribe on Spotify for a weekly updated playlist of the best new music. There’s a Whyd playlist below, or Soundcloud if you prefer. Let me know what tunes you’re listening to. For the last five year, uber dj mixing software, Ableton has been gathering dust on my hard drive. However much of Easter weekend was devoted to battling my lack of rhythm and trying to mix Mbongwa star into Society of silence’s ‘Baghdad’. The tutor was very patient. 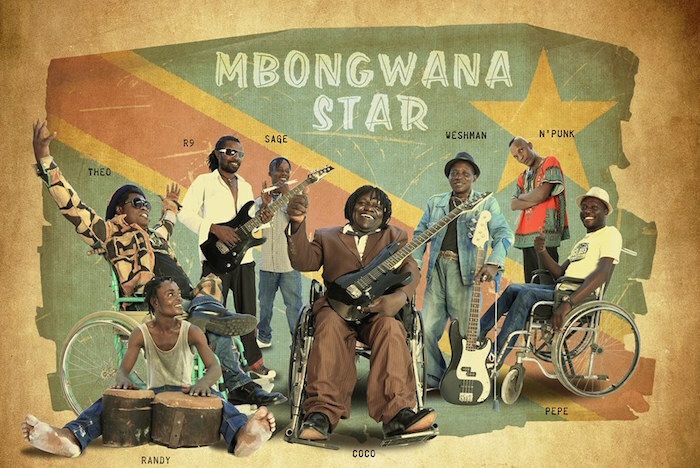 Fortunately the rhythm I lack is more than compensated for in the clattering drums of Mbongwana Star’s debut. The seven piece from Kinshasa, Congo couldn’t really go wrong with Konono No.1 guesting. They’re bring their mix of traditional Congolese rhythms, post punk and electronica to Europe in May. Coming off the back of his last release ‘Rough 2’, ‘Bottom Out’ finds Ed Russell further deconstructing and stripping back his sound. Buddy Peace adds drums, banjo, uke, hums and shakers to Hoyt Axton’s 1970’s tune “The Devil”. Desert stomp holler music – Get yerself some over on Buddy’s Soundcloud. Lee Perry meets baroque Viola as Colleen makes a welcome return on Thrill Jockey records. Cecile Schott (aka Colleen) uses her voice and the treble viola da gamba (a baroque instrument with gut strings) to weave intricate stories about the human mind and heart. As a child, Schott became enamored with a cassette tape of Lee Perry tracks from 1976 to 1979 and you can hear echoes of that influence in the new album. Recorded as an Improvisation. Single take, no overdubs. ‘Wall’ is taken from the new album by Nils Frahm – ‘Solo’. Revealed on Piano Day as a free download and available on CD/LP/DL. Fans can donate to the special piano project which will enable Nils and piano builder David Klavins to create the Klavins M450, the tallest piano in the world. Another remix of Deptford Goth’s ‘Two hearts’… no wake up this ones a beauty. Following their introductory single ‘Ohio’, which garnered recent RIP Records signings Peluché spins on Phil Taggart’s Radio One show and tips in the likes of NME Magazine, the South London three-piece are back with their follow up single ‘Sin’.